Here’s a taster of what we do. Get in touch if you don’t see what you need. 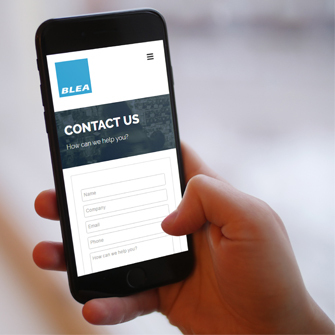 Welcome to Blea – a media company serving micro, small and medium sized businesses. We love to create great projects and make our clients happy. On-hold audio saves your customers from the dreaded beeps, silence or dated music that are too often bundled with telephone services. Ensure your telephone hold experience presents your brand with the same enthusiasm you would when greeting a customer face-to-face. Expertly written copy, studio-grade voice recording and professionally mastered music combine to make our on-hold audio productions engage and impress your customers. This in turn helps improve levels of customer satisfaction, increase sales enquiries and build brand loyalty. By: Blea. A blend of royalty-free hold music with professionally scripted marketing narrative recorded by an experienced voice actor. Engage your customers while they wait. Book your free on-hold marketing consultation today. BLEA is a media company serving micro, small and medium sized businesses. We provide goal-achieving solutions to clients both locally in Cumbria, Lancashire and West Yorkshire as well as nationally across the UK. Contact us today for specialist advice and access to subsidies. Copyright Blea 2018. All rights reserved. Blea is a trading name of Snowcap Media Ltd, a company registered in England and Wales with company number 10890948. Registered office address: Office 2, King George Chambers, 1 St. James Square, Bacup, Lancashire, OL13 9AA.